This year’s edition of an event dubbed ‘Flaunt Your Lover’ will take place on Saturday, February 23 at the Pearly Gates at East Legon at 8:00pm prompt. 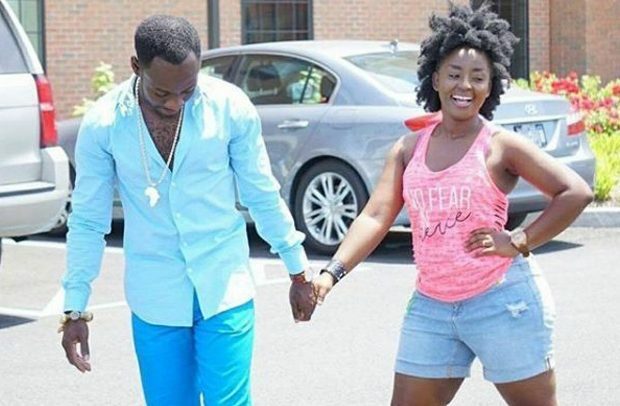 The event, which is being organised by Okyeame Kwame and his wife, Annica Nsiah-Apau, seeks to bring lovers together on one platform to celebrate true love in the month of love— February. The event, which is in its third edition, will bring together couples and lovers of Val’s Day on one platform to dine and wine, share their love experiences and get entertained with live band music from artistes billed to rock the event. Patrons who will grace the event this year will watch romantic movie and be given the opportunity to share their love stories. Some of the activities lined up for the night include an interactive session with a seasoned relationship expert, photo session with Okyeame Kwame and Annica and other celebrity couples. Last year’s edition, which was held at the Alisa Hotel in Accra, registered a huge patronage of both married and dating couples. Previous editions of the event attracted celebrities such as Martha Ankomah, KKD, Ekow Smith, Okyeame Quophi, Stacy Amoateng, Akoo Nana, DKB and a host of others.